titanic (1997) - puncak, atas 10 Facts! Which halaman awal Video Release of "TITANIC" is your favourite? What do anda think Rose is doing at the end? If Kate hadn't got the part of Rose, Which other actress who was considered for the spot would anda have liked to see? Who's your least favorit Character? how does the movie titanic make anda feel? What age do anda think titanic is aimed at ? What was your favourite scene from the Titanic? Hi guys, I'm going to make another comparison with this film to another real-life film oleh Disney, Pocahontas. Are anda ready? In real-life, Pocahontas was only 16 years old (correct me if I'm wrong) when she met John Smith. She saved him from being executed oleh her father and that she wanted peace. Okay, aside from My jantung Will Go On, here are a number of songs from other film atau sung oleh other singers that may suit this young couple! I have always cinta this song, and the lyrics fits both Jack and Rose. In fact, this is the better choice as the theme song for the film itself. This song should definitely play during the flying scene, it's like they're telling each other whether they can feel the atmosphere of love! Hallo bij deze verkopen we nieuwe titanic klokken (afkomstig mobil van, van titanic tentoonstelling in Brussel). Model is replica mobil van, van klok zoals in titanic hing. Klokken zijn geproduceerd door bekende horlogefabrikant Steffen. Hi everybody, since this artikel is about my personal choice for the funeral musik on the Titanic, especially on those whose life has been perish, are anda ready? This song was played during the 9/11 commemoration along with 'Only Time' and whenever I listen to it, there was a video on youtube that this song was played at the ending, tampilkan us the wreck of the ship in the sea. Although the judul sounds hippy, the musik is very sad and it is especially good for a funeral. Noah reminds me a lot of Jack, because he comes from a poor family and falls head over heels with Allie on the first hari that they met. titanic is a 1997 American epic romantic disaster film directed, written, co-produced, co-edited and partly financed oleh James Cameron. A fictionalized account of the sinking of the RMS Titanic, it stars Leonardo DiCaprio and Kate Winslet as members of different social classes who fall in cinta aboard the ship during its ill-fated maiden voyage. Okay, so I've been membaca stories on Fanfiction.net and some of the stories have alternating POV, from Jack to Rose, so I'm going to re-edit my first story using alternating POVs, so please tell me what anda think and if anda guys like it, I'll re-edit my other stories like this. And if anda see this ~, it means that it's the beginning of a flashback, thanks, and hope anda enjoy:) and I am working in the Tommy and Fabrizio story, but I have writers block at the moment so I thought I would do this instead. a poll telah ditambahkan: What do anda think Rose is doing at the end? 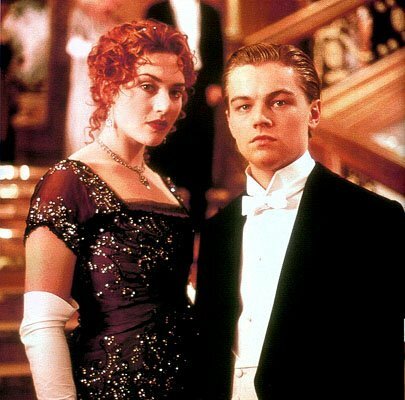 an answer was added to this question: What was your favourite scene from the Titanic? an answer was added to this question: how does the movie titanic make you feel? Who's YOUR favorit titanic character? DO anda COLLECT titanic STUFF?? ?